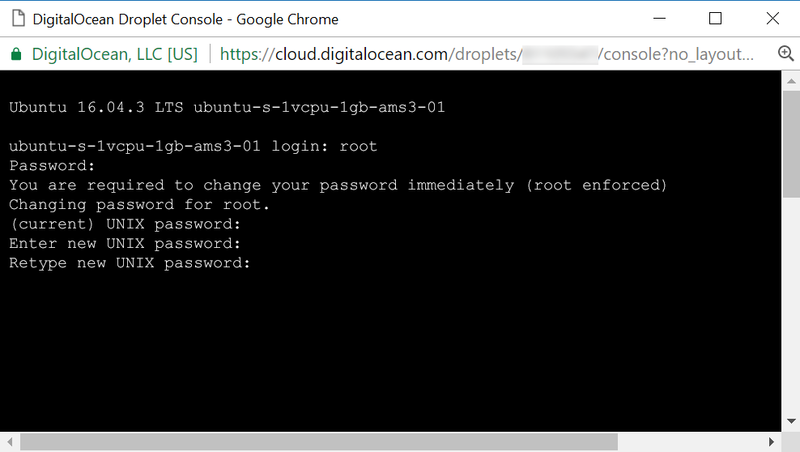 You should already have a DigitalOcean account and a Droplet. 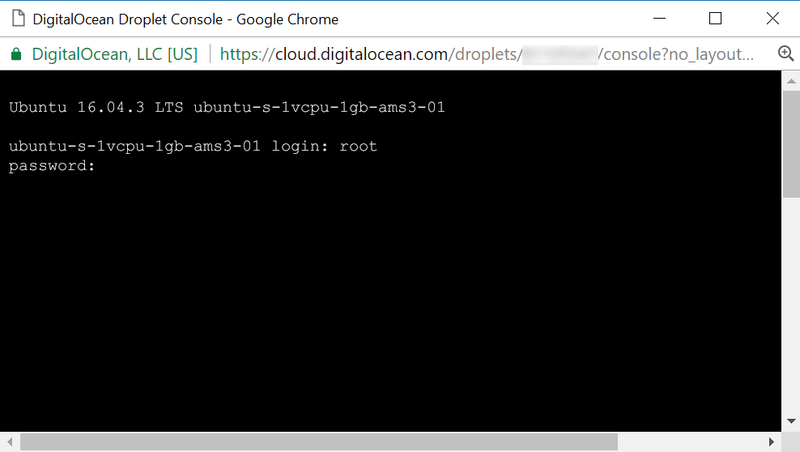 If you haven’t created a droplet yet, please see Getting Started With Your First DigitalOcean Droplet. You should also have the root password for your Droplet. This is emailed to you when you first create a new droplet. Go the the Droplets page and locate your droplet. Select More and Access console. Enter the username root and the password your received in the email. Unfortunately there is no way to paste using the DigitalOcean console so you will have to type the password in manually. You will now be required to change the password and type in the password you received in the email again. For the new password, you can enter a shorter password here if you wish. It’s recommended to use upper and lowercase letters and numbers. Once you’ve entered your new password, you will be logged into your Linux distribution. 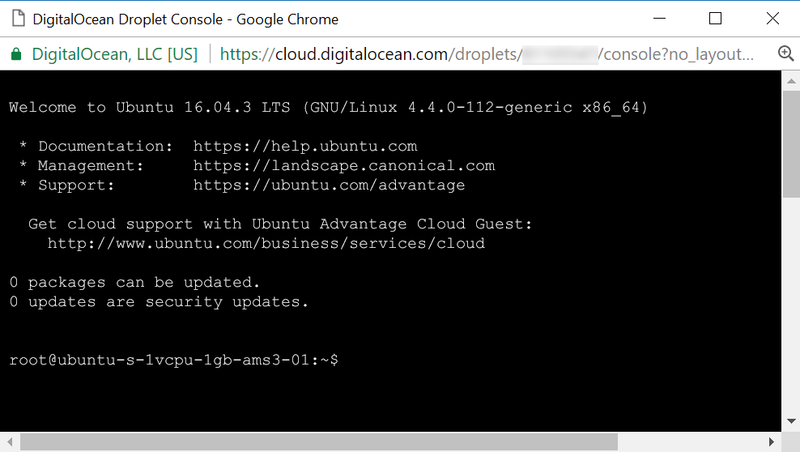 Now that your DigitalOcean Droplet is up and running, why not start configuring a web server? Read the Initial Server Setup guide to get you started.